The weeks just seem to be flying by at the moment – I meant to blog these photos of our day out on Sunday and then all of a sudden it’s Thursday! How did that happen? 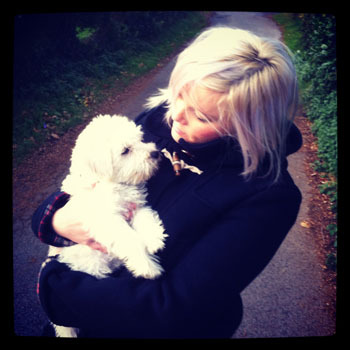 On Sunday we invited some friends over to come and meet Bodhi puppy and have a good old Dorset day out! We went to my favourite little town (Burley) and went for a pub lunch (I had chicken, ham and leek pie and it was very yum!) and a visit to the fudge shop. 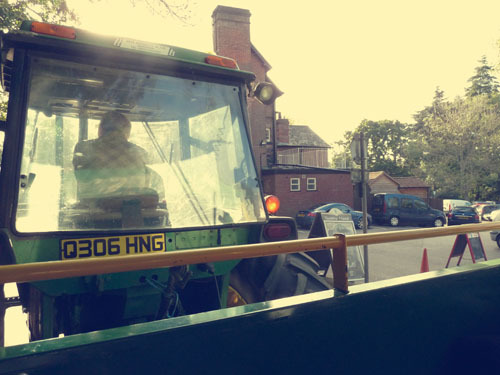 We then came across a tractor that was giving free rides to a cider festival so we hopped on board and went along to a farm where they were doing cider pressing demonstrations, selling hot and spicy cider and there were vintage tractors and vans on show. 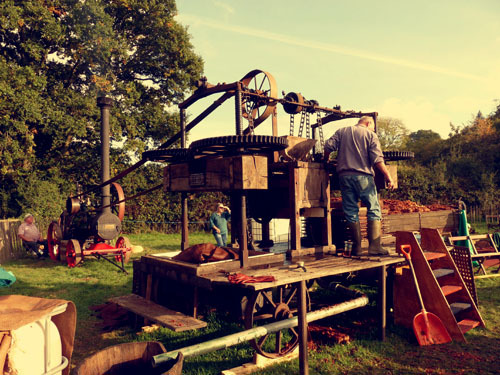 All this in glorious Autumn sunshine! By the time we got home we were peckish again so I whipped up some Mars cupcakes. 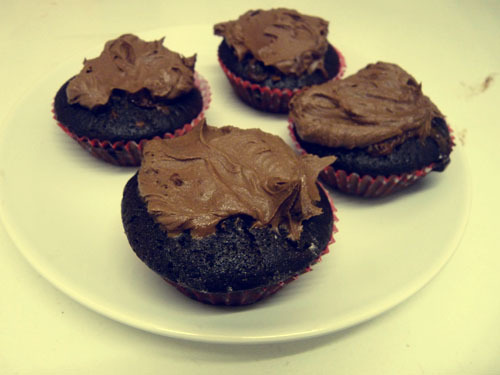 I saw this recipe for Mars Bar Melts on The Londoner blog and thought they might be yummy as cupcakes – and they were! You can’t tell from the photos but the chunk of Mars bar inside the cake goes all gooey in the oven – they’re pretty special if you eat them when they’re still warm! We then watched Shutter Island with a few cans of strawberry Brothers cider – talk about perfect day eh? No piping bag this time – I just wanted to eat them! This week has been very busy again -it’s pretty intensive looking after Bodhi as we have to watch him all the time. We’ve been taking him for walks around the neighbourhood but just carrying him as he has to have his final set of jabs before he can be walked. He’s a pretty big hit with the locals already and everyone wants a stroke when they meet him! Lots of friends have been wanting to come and meet Bodhi too, which is lovely – I had a friend over last night and cooked the classic ‘chicken stuffed with philadelphia wrapped in parma ham’, and sweet potato chips! Delish. This weekend I’m on call so can’t really leave the house – I predict lots of takeaway, pajamas, X Factor, Winter Warmer Copella juice (my new obsession) and duvets on the sofa! By the way, what do you think of my new layout? 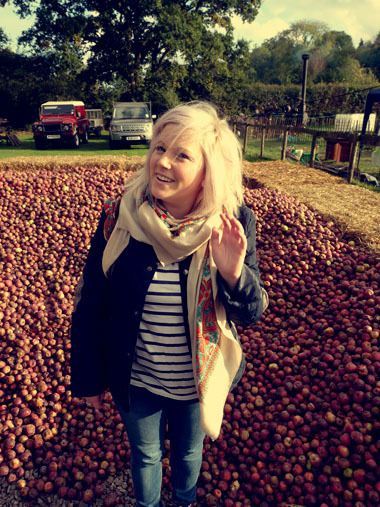 I fancied a change and wanted the blog to reflect my excitement that it’s Autumn!